WASHINGTON (AP) — Senators left a closed-door briefing with Trump administration officials Monday deeply frustrated by the lack of new information on the killing of journalist Jamal Khashoggi, with some raising the prospect of placing new sanctions on the government of Saudi Arabia. Lawmakers had instructed President Donald Trump to order an investigation into Khashoggi’s killing by invoking the Global Magnitsky Act. The request was made in October, which gave the president 120 days to respond. But the White House declined to submit a report by the deadline, angering members of the Senate Foreign Relations Committee. New Jersey Sen. Bob Menendez, the top Democrat on the panel, called the briefing “a farce” and said Trump still needs to give Congress an answer. “The law’s very clear, there needed to be a determination,” Menendez said. The dispute over Khashoggi’s death comes at a point of rising tensions between the White House and Congress over the U.S.-Saudi relationship, fueled in part by the Trump administration’s involvement in Yemen’s civil war. With U.S. weapons and logistical support, Saudi Arabia is fighting a protracted war in the country, creating the world’s worst humanitarian crisis. After Khashoggi’s death last year, the Senate passed a resolution with an overwhelming majority calling for the U.S. to end its support for the Yemen campaign, though that resolution did not pass the House. The Senate is expected to take up the issue again in the coming weeks, reviving the debate. While it’s unclear if the Yemen resolution can again pass the Senate, members of both parties made clear they aren’t moving on from Khashoggi. 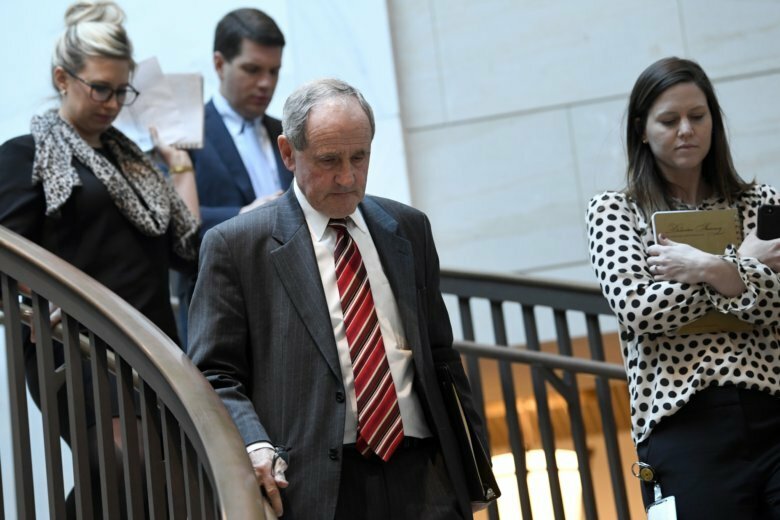 Sen. Jim Risch, the Republican chairman of the Senate Foreign Relations Committee, released a statement pledging the investigation would continue. “We will not let it go,” he said.